Last night I attended the annual Police Bravery Awards and celebrated officers who have performed extraordinary acts in the line of duty. The men and women who put their lives in danger to protect us deserve more than praise alone. We have to concentrate on how action in the line of duty affects them, their families, and their ability to continue to do their job. We have to do more than demonstrate our pride in the emergency services in times of crisis. So it is time to talk more widely about wellbeing and welfare of police officers. I spoke to officers about this at the Police Federation conference in May and yesterday at Chief Constables Council representatives from the Police Federation and the Superintendents Association came and presented the findings of resilience surveys from their members. The quality of policing depends almost exclusively on the quality of the people who work in policing. As chiefs we have a responsibility as employers to do all that we can to make policing a supportive and rewarding profession. That isn’t anything new – officers and staff have always been the backbone of the service. But the job they are doing has fundamentally changed. The facts speak for themselves. Non-crime incidents such as missing people, mental health incidents, and protection of vulnerable members of society have increased significantly over the last ten years. In my days as a constable, attending a domestic abuse case would often have been a quick report or a quick arrest. Not so today – officers rightly undertake a painstakingly detailed investigation into the abuse and go to far greater lengths to safeguard vulnerable victims. Investigating modern slavery networks, child sexual abuse rings, and ever-expanding cyber-enabled crime requires skill, knowledge, and many hours of specialist officer time. We have more work, fewer people, and the work we do has become more complicated. All of this has the potential to impact adversely on officer mental health and wellbeing. Between 2010 and 2015, officers taking sick leave for mental health reasons rose by a third to 6,129. The Police Federation survey on mental health found that nearly two-thirds of officers said they went to work despite feeling that they shouldn’t have because of their mental health. We can’t let our workforce face the demanding, stressful – not to mention dangerous – job of keeping the public safe without our full support. Our Policing Vision 2025, jointly launched with the Association of Police and Crime Commissioners, sets out our priority to improve officer wellbeing. All forces have also implemented workplace wellbeing charters, and the vast majority have adopted an excellent seven-point plan for dealing with assaults against officers. We’re continuing the innovative work led by Chief Constable Andy Rhodes to expand access to the Oscar Kilo Blue Light Framework project across police forces and our partners in the emergency services (more infohere). We also work closely with charities like MIND and the Police Dependents’ Trust. 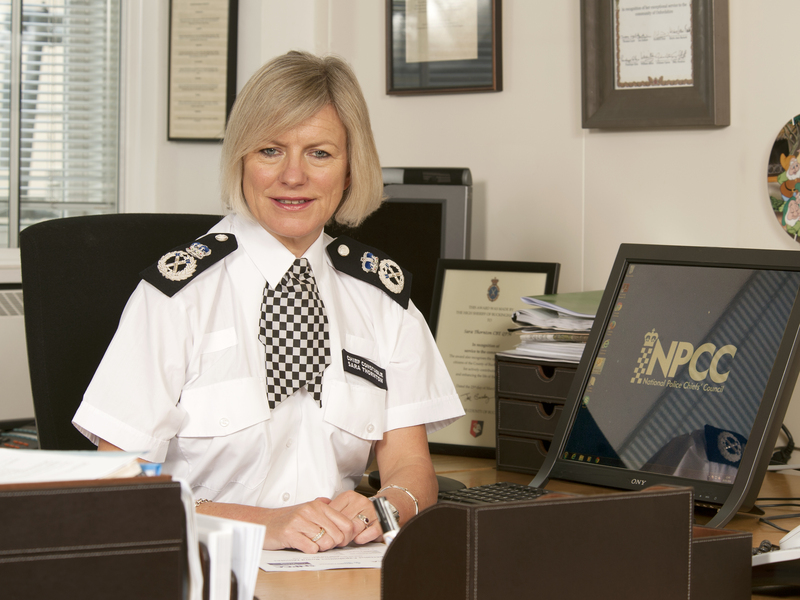 This week the Home Secretary announced that £7.5 million will be made available from the Police Transformation Fund for a national police welfare support service, which is welcomed by all chiefs, officers, and staff. Moving forwards, we need to take three main proactive steps. Police leaders need to design change that values the ‘people’ element of policing. Most forces have gone through substantial change programmes where they have focused on increasing the efficiency of the organisation. In doing this, it is really vital that chiefs consider the impact on staff; their morale and whether working practices result in officers feeling that nobody is taking an interest in their work. Next, we need to value contribution from all levels. Hierarchical structures present problems of their own because bosses don’t always know best. The management-speak term is ‘employee engagement’ but what this really means is valuing people’s contribution. We are working to open up our culture, encourage feedback and harness the contribution of every member of staff. We encourage all officers to work through their Police Federation representatives to raise issues with leadership, both nationally and locally. As representatives of officers, they place a crucial role in raising these issues, and all chiefs are committed to working in full and close collaboration with the Federation. We need to address the perceived stigma about stress and mental health issues. Things are getting better, but we need to do more to tackle the ‘be strong’ culture. The Federation survey also noted that 63 per cent of people sought help for mental health issues from their line manager, and three-quarters report being treated with dignity and respect. Showing that where good processes are in place, they build confidence. But it’s not just about the hard data – we need to enable officers to decompress, talk, and feel supported by the structures. Finally, we need to find the right balance between accountability and learning. Too often we resort to misconduct processes having failed to deal with problems as learning earlier on. We are working with all chiefs and the College of Policing to address the culture of blame that can affect officers at all ranks. There is some way to go but this is a clear priority for me and for all chiefs. We have to build organisations that can be open and learn rather than blame and keep failing. The terrible events of recent months have brought to light the danger that police officers face every day. Our police staff also deal with difficult, upsetting and draining things everyday. We owe them our commitment that they will be able to access to the support they need, when they need it.